Physiotherapy is a competitive professional field. But this course could put you in the lead – by enabling you to become a reflective and resourceful physiotherapist in a fast-moving healthcare environment. It provides an excellent platform from which to progress your career, in line with the Chartered Society of Physiotherapy’s vision for the profession. There is also the option to study this course over 4 years as an Integrated Masters. During the course you’ll undertake 30 weeks of clinical placements in a range of health settings, which provide essential opportunities for you to put theory into practice. No.1 amongst London Modern competitors for Health Professions (Guardian 2019). Our excellent staff members are experts in their respective fields. This course is approved by the Health and Care Professions Council (HCPC) and accredited by the Chartered Society of Physiotherapy (CSP). Exciting work experience opportunities – we work closely with many of London's internationally renowned teaching hospitals, Community Trusts and services, where you can gain clinical experience. Our dedicated facilities include clinical skills labs and outstanding virtual learning environments on campus – as well as access to the gym facilities within the Academy of Sport. No.1 amongst London competitors for teaching, assessment & feedback in Allied Health (National Student Survey 2018). The course modules are assessed using written exams, projects, coursework and practical examinations. During the course you’ll undertake 30 weeks of clinical placements in a range of health settings, giving you essential opportunities for you to put theory into practice. You must achieve the requisite academic credit and specified practice hours and competencies in order to be eligible for the appropriate academic award and professional registration as a Physiotherapist. This module introduces the place and value of interprofessional and collaborative working in health and social care delivery. The module aims to support the development of the necessary communication, personal, partnership working and reflective practice skills required to meet the needs of clients/carers and diverse populations who are at the centre of interprofessional health and social care delivery. You’ll work collaboratively online to explore and develop understanding of the purpose, scope and range of interprofessional and collaborative working. This module is designed to provide the foundation knowledge of the structure and function of human body and changes resulting from the development of illness and disease. The principles of pathological change and of healing are considered alongside a consideration of the effects of development of common illnesses and disease and their impact on the normal physiological processes and the function of the body.An understanding of the impact of pathophysiology on the structure and function of the human body is developed in relation to physiotherapeutic interventions and patient-centred management. This module explores the role of the physiotherapist across a range of clinical working environments. Different models of physiotherapy are considered and the context explored in relation to the impact it has on assessment, management and therapeutic interventions using current and best evidence. Basic physiotherapy assessment skills are developed in relation to biological, psychological, and social factors involved in health and wellbeing. This module will develop an understanding of key knowledge underpinning physical activity and exercise-based interventions.This module will develop the practical skills to undertake health-related fitness assessment, including heart rate, blood pressure, body composition and submaximal exercise evaluation. It will develop knowledge of responses and adaptations to aerobic exercise, as well as activities involving strength, speed, flexibility and power. Through the awareness of key concepts of training principles, this module additionally aims to develop an understanding of the basic design of training programmes in line with expected physiological adaptations. Models of health and wellbeing, and their importance to core physiotherapy practice are considered, discussed and practised, such as making every contact count, exercise prescription and the value of exercise in maintenance of general health. This module extends your understanding of the concept of evidence based practice and research in practice. The module equips you with the core skills and understanding to appraise evidence and assess its appropriateness to be implemented into practice. The steps in conducting research, main research methods, approaches to data analysis and presentation are explored. You’ll be equipped with the knowledge and core skills that are pre-requisite for critical appraisal and evidence synthesis. This module introduces the concept of health and wellbeing across the lifespan whilst considering physiotherapy principles and approaches to practice into common conditions encountered. The impact of pathology on the patient’s physical, emotional and social health and wellbeing, and the role of the physiotherapist in the maintenance of health through the lifespan, are explored. This module explores integrated care in its widest sense across patient care models, frameworks and pathways in order to facilitate an understanding of the implications of working in different ways, whilst developing the knowledge and skills necessary for this area of practice. The legal and policy frameworks governing physiotherapy practice are identified and applied, supported by evidence across the field, in relation the concept of patient-centred care and emergent physiotherapy practice. This module is the final interprofessional learning module that will explore leadership, quality improvement and change within organisations from an interprofessional perspective. The module looks at a strategic, evidence based approach to change management in a range of environments, and will integrate the perspectives of service users. This module focuses on wider determinant of health and key opportunities that exist in contemporary physiotherapy and health care practice to optimise clinical and therapeutic outcomes. It develops an understanding of pharmacology, nutrition, and homeostasis in relation to impact on human performance, function and recovery. Models and frameworks supporting patient management are explored alongside the development of specific knowledge and skills that support the effectiveness of interventions for individual service users. This module will provide an understanding of the current healthcare policies and their impact upon the provision of health and social care. It will build on knowledge achieved on practice placements and other areas within the course, looking formally at existing and emerging government initiatives. The legal and policy frameworks governing physiotherapy practice are identified and applied, supported by evidence across the field, in relation to the provision of patient-centred care and emergent physiotherapy practice. 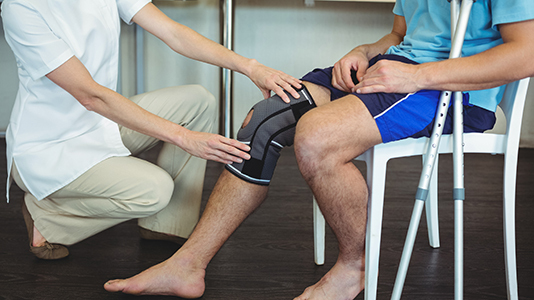 This module builds on the learning in previous modules to support the development of knowledge and clinical skills at a more advanced level across a range of physiotherapy practice areas. It will focus on developing clinical reasoning skills at a higher level, incorporating a greater complexity of knowledge. The module will promote the integration between theory and practice learning. 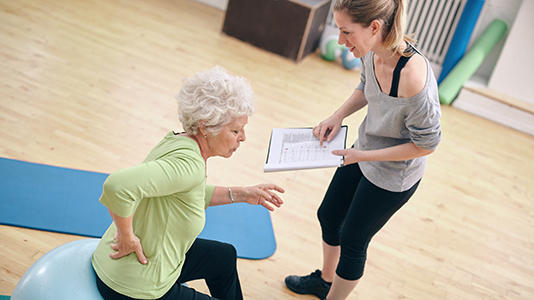 As a physiotherapist, you could play an important role in helping people improve their health, wellbeing and quality of life – using a broad range of treatment approaches focused on restoring movement and function, often following illness or injury. Physiotherapists often work within a multidisciplinary team and may do this in a variety of clinical environments such as outpatient clinics, inpatient wards, in the patient's home or in a sport or performance setting. Graduates of this course go on to work in a variety of NHS and private practice settings, including specialists in stroke care, weight management services, elite sport and private practice settings. We have strong partnerships with NHS Trusts across the London region, and with other key healthcare providers in the independent sector. This includes community, acute and specialist settings, reflecting the diverse nature of physiotherapy practice. This course is planned to ensure that students complete the requisite number of hours in both theory and practice which builds knowledge across complex and. Academic and clinical practice blocks are structure to help you link effective theory to practice. Throughout your assessed clinical placements, you will complete a minimum of 1,000 hours in local NHS organisations as well as community, private and voluntary sectors agencies. The LSBU Physiotherapy Practice Placement team take responsibility for allocating practice placements. As we believe in supplying well-rounded experiences, we will always try but can't always guarantee to allocate placements within 2 hours of your registered term time home address. Placements include comprehensive contemporary experience across this range of sectors and settings can include acute, long term, inpatient and community environments. At least one of your placements will be in a speciality area such as respiratory, neurology, musculoskeletal systems, orthopaedics, medicine, obstetrics and gynaecology, or working with elderly, amputee or paediatric patients. Your first placement is observational and aimed to make you comfortable and familiar to the clinical environment. Specialist knowledge and skills are developed through the end of year 2 and throughout year 3. 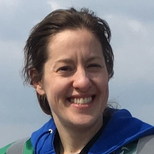 Ruth Kent joined LSBU in January 2019 as a Lecturer in Physiotherapy. 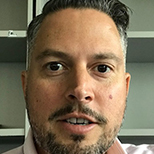 Michael Mansfield is a Senior Lecturer and Course Director for the Physiotherapy courses at London South Bank University. 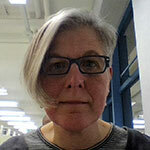 Gwyn is a Senior Lecturer in Physiotherapy. Her experiences of being a children’s physiotherapist, a physiotherapy lecturer & Professional Advisor have fed her academic interest in politics–profession–practice. Mark Spreckley is a lecturer in Physiotherapy courses at London South Bank University (LSBU). We have a variety of skills labs which replicate real-life work environments, and provide an ideal setting for simulation learning using the latest technologies. Facilities include adult wards, physiotherapy suite, and critical skills lab. Equipped with modern technology, the Human Performance Centre enables world class research in the fields of sport, health, physical activity and exercise science. You'll have access to a range of facilities and equipment within the Academy of Sport, including a fully equipped fitness suite with SMART Centre Technology, a Functional Training Zone, Free Weights Room and Sports Hall. You can explore these facilities further, including viewing virtual tours of some of the areas, by selecting the links above. This course takes a blended approach to learning. It provides a range of learning formats and teaching delivery styles – and allows an individual approach, providing you with some flexibility in your preferred learning style. Interactive lectures will introduce key subject matter. Practical sessions, small group teaching and demonstrations will be used to facilitate skills development. A range of other approaches will be incorporated into students’ learning which can include online worksheets, guided independent study, e-learning, peer group learning, and group discussions. When it comes to assessment, we use a variety of approaches to promote different skills and abilities while reflecting the nature of the module of learning. The main rationale for choosing the assessment method is helping students in the development of a wide range of professional knowledge and skills. The types of assignments demonstrate progression of skills and abilities as students’ progress on the course. Typical assessments include written examinations, written assignments, verbal (case study) presentation, practical examination and clinical assessments. As a Health and Social Care student, you will be allocated a named tutor during your first three weeks at LSBU. The role of your tutor is to be your primary contact for academic and professional development support. Your tutor will support you to get the most of your time at LSBU, providing advice and signposting to other sources of support in the University. They should be the first person at the university that you speak to if you are having any difficulties that are affecting your work. These could be academic, financial, health-related or another type of problem. You will have appointments with your personal tutor at least once a semester for 45 minutes throughout your course. You can contact your tutor for additional support by email or phone. Applicants must hold 5 GCSEs A-C including Maths, Science and English, or equivalent (reformed GCSEs grade 4 or above). 7.0 in the writing and speaking sections. If your initial application to a Health and Social Care course is successful, you’ll be invited for an interview. The interview is an opportunity to explain face-to-face why you are the right student for the course. The format of the interview is a multiple mini interview. You will meet a number of lecturers, clinicians and service users and each person will ask you to consider a realistic scenario related to elements of health care practice or the core NHS values. Each Multiple Mini Interview (MMI) will last for approximately four minutes. There will be interviewers at each of the five stations. Visit our interview page for information on preparing for the day and what to bring. Please note: there is no written component to the Physiotherapy interview. Download our Personal Statement Guide (PDF File 160 KB) for your UCAS application. Please note: it is essential that Physiotherapy applicants document clearly that they have completed work experience as a physiotherapist. You need to declare any previous convictions, cautions, warning or reprimands through the Disclosure and Barring Service (DBS). Find out more on the DBS process for applicants. To see when and if convictions and cautions are removed from the DBS certificate check the filtering rules for the criminal record check certificates. For more information please read our DBS FAQs(PDF File 161 KB). Complete the online DBS application and ensure you refer to the corresponding DBS course title when completing your application, to ensure we can track your application. You will need to bring in and show us three accepted ID documents so we can verify your application. You can bring them to the Southwark Student Help Desk in the K2 building during working hours, Monday-Friday (9am-11am, 1pm-4pm). No appointment is needed. If you are unable to physically come to campus and show your three forms of required ID, you can use the Post Office which offers an identity document checking service for a fee of £10.50. Take photocopies of your three items of ID documents and your three original documents with you to the Post Office. The documents should be scanned (including the Post Office receipt) and sent to hscdbsoh@lsbu.ac.uk. If you have further questions you can email hscdbsoh@lsbu.ac.uk. Please read our guide to immunisation, screening and health clearance. If you have met the conditions of your offer download and complete an online medical questionnaire. This will go to our current occupational health provider. You can only enrol on your course when this is complete. For further information please read our Occupational Health FAQs. Read our Vaccination Screening Advisory Letter (PDF File 126 KB). Before you enrol on your course take the GP Vaccination and Screening History Form (PDF File 117 KB) to your GP for them to complete, sign and stamp. Once you’ve enrolled take the form to the meeting with the occupational health nurse so the nurse can check your immunisation status and confirm this for your placement. If you do not complete the occupational health process you cannot go on placement and this may jeopardise your continuation on your course. If you have any questions you can email hscdbsoh@lsbu.ac.uk. Before starting your course, you may want to check or practice your numeracy skills. The National Numeracy Challenge is a free online tool that helps you learn, revise and quiz your essential numeracy skills. You’ll also be able to get a certificate to show your efforts. Before you start your course we’ll send you information on what you’ll need to do before you arrive and during your first few days on campus. You can read about the process on our new students pages. Most placements will require you to wear a uniform on placement or during some practical sessions in our skills laboratories. This will be provided along with a formal name badge. You'll have to pay for any additional or replacement uniforms. For more information, see our uniform FAQs. Most health and social care courses’ practice placements will operate outside normal working hours e.g. evenings, nights, weekends and bank holidays. Your holiday periods will not follow the normal University timetable because of placements. You’ll receive more details once you start your course. These publicly available materials provide some excellent preparation for your course, giving insight into the physiotherapy profession and some key concepts for developing into a qualified healthcare professional. Barrett, K. E., Barman, S. M., Boitano, S., Brooks, H. L (2019) Ganong’s Review of Medical Physiology, 26th Edition. New York: McGraw Hill Education. Dimon, T. and Qualter, J. (2008) Anatomy of the Moving Body: A Basic Course in Bones, Muscles and Joints. 2nd ed. Berkeley, Calif: North Atlantic Books. Everett, T. and Kell, C. (2010) Human Movement: An Introductory Text. 6th Edition. Physiotherapy Essentials. Churchill Livingstone-Elsevier. Muscolino, J. E. (2016)Kinesiology: The Skeletal System and Muscle Function. 3rd Edition. Elsevier. Palastanga, N. and Soames, R. (2018) Anatomy and Human Movement: Structure and Function. 7th Edition. Elsevier. Schünke, M., Schulte, E. and Schumacher, U. (2014) Thieme Atlas of Anatomy: General Anatomy and Musculoskeletal System. 2nd Edition. New York, New York: Thieme Medical Publishers, Inc.